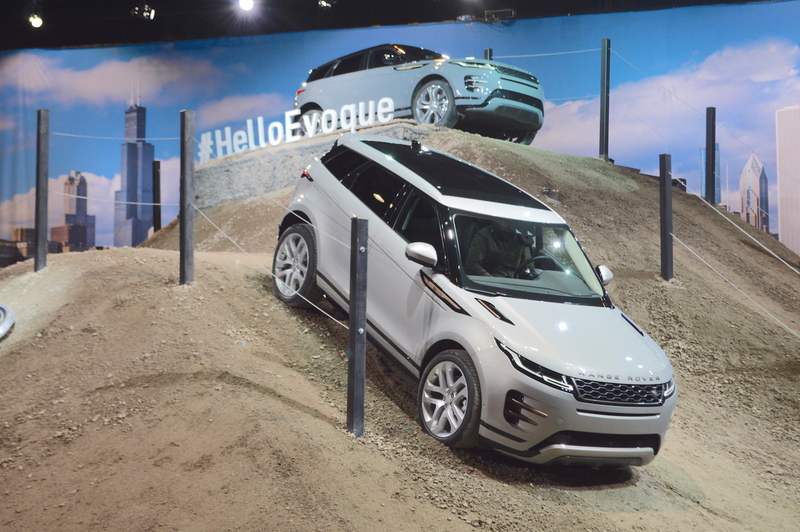 Land Rover displayed the 2019 Range Rover Evoque at the 2019 Chicago Auto Show held earlier this month. Here are the all-new luxury SUV’s live images from the show. Land Rover has developed the all-new Range Rover Evoque on a significantly upgraded D8 platform, now called ‘Premium Transverse Architecture (PTA)’. The 2019 Range Rover Evoque features an evolutionary design with changes largely inspired by the Range Rover Velar, and that applies to the interior as well. On the outside, it features slim Matrix LED headlamps and LED tail lamps, flush door handles and 20-inch alloy wheels. 10-inch infotainment touchscreen, featuring Touch Pro Duo technology, 14-way electric memory seats with four-way lumbar support and fully adjustable bolsters, 18-shade interior mood lighting and 825-watt, 17-speaker sound system are some of the talking points of the interior. A plug-in hybrid variant is due for release this year, and so is a new three-cylinder engine from the Ingenium family. 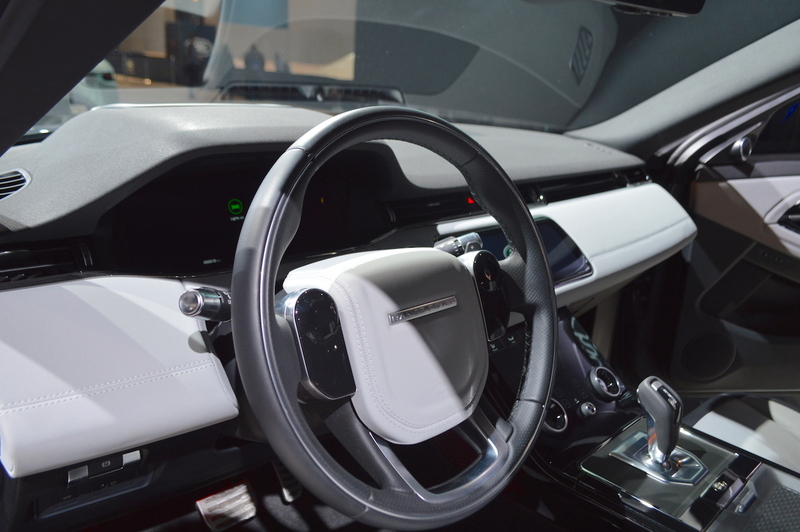 Touch Pro Duo infotainment system and Apple CarPlay and Android Auto smartphone integration have made it to the Range Rover Evoque with the full model change. The 2019 Range Rover Evoque’s local testing in India has commenced and one can expect a launch in the coming months. Land Rover will locally assemble the entry-level Range Rover model.